D5613 (31190) has full power applied as it struggles northwards at Bishops Itchington on 14 November 2009 with the Pathfinder Tours 1Z22 06:07 Eastleigh to Donnington Freight Terminal 'Boot and Hoot' railtour. 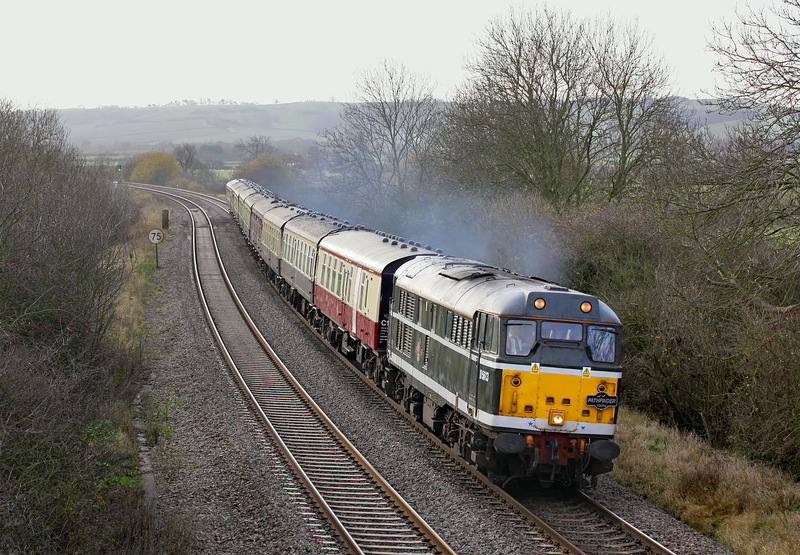 It had taken over from 66139 at Fenny Compton, approximately two miles away, and as a 31 isn't exactly overpowered when hauling a nine coach train, no speed records were being broken. In fact a CrossCountry Voyager was following right behind at reduced speed, with a Wrexham & Shropshire service directly behind that, both being held up by this vintage loco!